Nagasaki University’s International Environmental Experts Internship Program has held from 1st to 31st August, 2015. 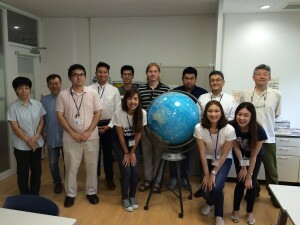 Six students from Mahidol University, Thailand (4 undergraduate students from Mahidol University International College and 2 students from Faculty of Environment and Resource Studies, Mahidol University) and a student from Lund University joined the host laboratories as an intern at the Faculty of Environmental Science, Nagasaki University during the Program. Opening ceremony for the Program was held at Faculty of Environmental Science, Nagasaki University on 3rd August, 2015. The Welcome and Opening remarks were made by Prof. Akihiro Taimura, Dean of the Faculty of Environmental Science, Nagasaki University. 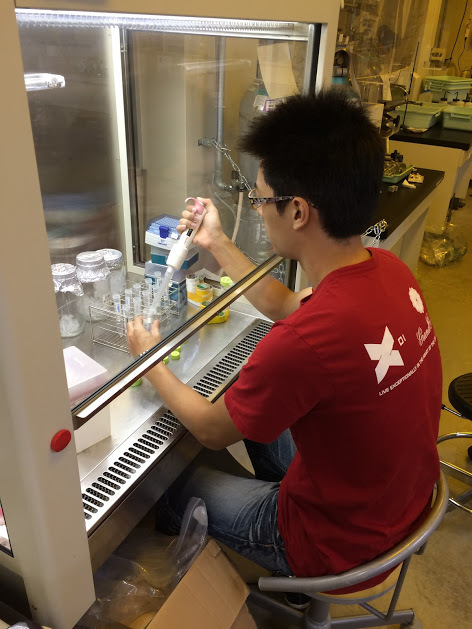 Mr. Ying Chiao LI from Taiwan, who is Junior student of the Environmental Science Program, Mahidol University International College, joins our laboratory as an intern for a month under the Program. He learned about environmental biotechnology and done some experiments in our laboratory during the program. I hope that he had good experiences during the program. Laboratory work by Mr. Ying-Chao LI from MUIC. © 2019 Hideki Nakayama's Laboratory at Nagasaki University.